Why should you have to travel to several dental offices to get the periodontal services you need to stay healthy? Ever wonder what gum disease is? Complete the form below to download your FREE article. Dr. Luma Naim at North Shore Dental Group offers treatments including scaling and root planing, periodontal maintenance, bone grafting, sinus lift surgery, and more all in one convenient Park Ridge location! Have Periodontal Disease? Get the Regular Maintenance You Need. Periodontal (gum) disease affects millions of adults, and the key to keeping it from destroying the quality of your mouth is making and keeping periodontal maintenance appointments. During appointments at North Shore Dental Group, you will undergo deep cleaning processes that remove as much of the plaque, calculus, debris, and bacteria as possible between your teeth and gums. Our processes are comfortable, and we take care to make sure your gum disease does not worsen. You may also require scaling and root planing as part of your periodontal maintenance plan. To successfully complete this procedure, we will use high-powered lasers that require minimal anesthesia and numbing gels. The goal is for you to leave every periodontal maintenance visit feeling wonderful and knowing that your health is protected. To schedule your next periodontal maintenance appointment, call 847-292-8200. We know that healthy gum tissues are at the heart of keeping gum disease from moving to a more serious stage. One of the ways that we help patients with periodontal disease promote healthier gums is through a gingivectomy. This treatment method allows us to remove diseased gum tissue so that the healthy gum tissue can regenerate. Incredibly fast, technologically driven dental tools give us the power to do this quickly and as painlessly as we can. After the diseased gum tissues have been taken away, the remaining soft tissues are more likely to naturally adhere to the teeth and bones they are supposed to protect. The bacteria that surround your teeth when you have gum disease will begin to eat away at the protective outer layer of the hard and soft tissues of your mouth. This leads to small pits being formed along your teeth. If Dr. Naim notices pits, she may suggest that you undergo osseous surgery. Osseous surgery allows us to smooth out the top of the teeth using lasers and other dental tools. Without crevices to hide, bacteria cannot replicate as quickly. Make Sure You Are Taking Charge of Your Periodontal Disease With the Help of a Dentist! Lost Teeth Due to Periodontal Disease? We Can Help! Have you lost one or more teeth because of progressive gum disease? 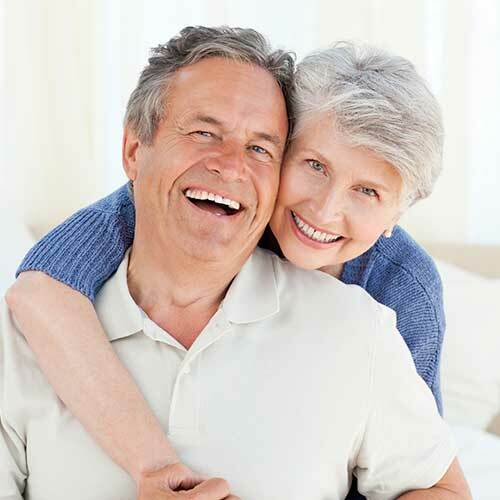 We can help in several ways, including by incorporating dental implants into the places where your teeth used to be. If you have lost too much bone density to allow for dental implants, Dr. Naim may recommend bone grafting or a sinus lift to improve the quality of bone density in the area. When the bone has been successfully built to acceptable levels, dental implant surgery can be scheduled. Not sure you want tooth implants? Consider ridge augmentation and preservation. This process enables us to smooth out the areas where your teeth used to be, creating a more normal-looking area of bone rather than a sunken-in appearance around the gums. In some cases, bone grafting can be utilized during ridge augmentation and preservation. Get the periodontal services that your teeth and gums deserve! A lifetime of oral health begins with one phone call to our Park Ridge, IL, office at 847-292-8200!